Expenditure: usually a lawyer or a broker appointed by you will charge you anything between INR 5,000 to 15,000 for preparing the home buying agreement. However you can negotiate on the amount with the lawyer and broker. In most cases both the parties (the buyer and the seller) contribute equally to the expenses incurred in preparation and registration of a home buying agreement. Where to go: Contact your Real Estate Agent or lawyer or legal property dealer for preparation of a home buying agreement. 1) An affidavit on Rs 100 stamp paper by the seller stating that he is the undisputed owner of the property and has no objection in selling it to you, duly signed and attested by an Advocate. 2) Latest original copy of electricity bill i.e., the last bill that a seller has to pay before he gives the possession of the property to you. 3) Latest original copy of society maintenance receipt i.e., the last bill that a seller has to pay before he gives the possession of the property to you. 4) Latest original copy of the property tax receipt i.e., the last bill that a seller has to pay before he gives the possession of the property to you. 5) If the property is registered then a copy of the registration certificate. 7) NOC (no objection certificate) from the society. 8) All the previous agreements of sale or purchase of the property. 9) Blue prints i.e., Full copy of layout plan (floor plan and building plan) along with the design maps provided by the builder and approved by competent Authorities such as local housing and municipal authorities. (like MMRDA or MHADA or BMC in case of Mumbai). 11) Occupation certificate (OC) given by local municipal authorities to the builder stating that the building is all good for its buyer to occupy it. This is also a kind of NOC issued to the building by the relevant government authorities stating that the building does not violate any norms or guidelines and is all clear for its buyers to occupy it. 14) Sanction letters from the water, sewage and electricity departments. After you select a property which you want to buy, approach a real estate agent or realty developer or a lawyer for making a home buying agreement. It is advisable to take professional help in drafting a home buying agreement and in validating the documents provided by the seller or the builder as you cannot afford to go wrong in a major transaction like buying a home. In the home buying agreement make sure that you take the signature, left thumb Impression and pass port size photograph of the seller on a stamp paper. This document can serve as a Bio-Data of the seller and can help you track the seller in case of any discrepancies. If the building is built on Gram Panchayat land than make sure the collectors and town planning department has given its approval before signing the home buying agreement. Ask the builder to show you the original copy of Title clear certificates for the land on which the building is build. The best is to ask for Intimation of disapproval (IOD) and commencement certificate (CC) which makes it clear that the property that you are purchasing is built on an undisputed land and is approved by the competent authorities. Also check if the property has an Occupation certificate (OC). Without OC you will face problems in obtaining Home loans from banks. Many builders have tie-up with banks and financial institution for home loans. If the tie-up is with reputed or nationalized banks like HDFC, ICICI, SBI then it’s a good sign that the project is credible and you will be at a lower risk of being cheated as these Banks will do their own research and scrutiny before tying up with the builder. In case you are buying an under construction flat make sure you that the allotment letter given to you by the builder mentions date of completion of project, date of possession, builders liability in case the project gets delayed or problems after possession. You are entitled to know all the above things once you pay the signing amount as told by the builder. Builders often mislead potential new home buyers by quoting only the base price of the property which to a novice home buyer might sound attractive. Along with the base price there are various other cost affiliated with the purchase of the property which can signifcantly increase the total cost of owenership. Hence it is important not to get mislead by just the advertised price and understand the total cost of ownership with their detailed elements, with taxes, stamp duty, registration and brokerage. Before buying any property make sure that you do enough background searches about the reputation of the builder with regards to completion of projects on time and fulfillment of all the promised amenities. If you cannot find enough information on a builder, walk away. NRI’s having passport of foreign countries need to apply for PIO card that is “person of Indian origin” card at Indian embassy or the consulate in their countries of residence before purchasing any property in India. Person of Indian origin do not need any special permission from government for purchasing any immovable property in India. It is advisable that non resident Indians who generally come to India once in few years give power of attorney to a person living in India so that required home buying process such as registration of the property ,stamp duty payment, possession ,execution of agreement of sale ,agreement of leave and license etc can be done easily. Before purchasing a property in India NRIs are required to have operational NRE and NRO accounts for transfer of funds and for Home loans if required. If feasible, prepare a short video of the conversation with the seller and the builder about the terms and conditions of the entire property sale. This might sound too much but it can prove to be a real handy proof in case there is some problem later with the transaction of the money . Remember that the signature can be faked but photo, left thumb impression and the video cannot be faked. Not all banks do proper legal scrutiny before entering into tie-ups with builders but if some reputed banks like HDFC, ICICI, SBI, BOI are involved then it serves as a validation for the builders reputation. Ask the builder or the seller if there are any additional charges other than those show to you, for exampleparking charges or any legal charges which sometimes is not said or stated in the first meeting. Most of the builders dupe you by mentioning built up area or the super built up area of the flat which is more than the actual carpet area, so insist for builder to mention the carpet area of the flat which will give you exact idea of the size of the rooms. Along with the carpet area and the base rate a potential home buyer should also take in to account other components such as “floor rise”, infrastructure development cost, car parking cost, referential location charges, society and club membership fee if that exists, electricity and water charges that contribute to the total purchase price of the flat. The home buyer should also take in account stamp duty and registration charges that will be charged as a percent of total price of the flat. Builders often dupe potential home buyers by advertising several amenities that they will offer in their projects .It is important for a buyer to make all this appear in the home buying agreement along with penalties incurred by the seller in case of non full-fillments of proposed amenities. A potential buyer should also check for penalties imposed on him in case of delay in payment or in case of early exit (in case of under construction building) from the agreement by him, in such cases generally a fine equal to 10 to 15 percent of total value of property is imposed on him by the builder .This could make a serious hole in the pocket of the buyer. A buyer should also restrain himself from paying unreasonably high advance payments in case he is buying a under construction property. Read all the fine prints in the contract before signing the agreement. If the builder hesitates to provide or show you any of the necessary documents then walk away. Home Inspection clause: this clause gives the buyer the right to inspect the property and if he finds any damages or repair work pending then he can either ask the seller to repair it or back out from the deal. Sometime builders include this clause which states that the buyer has received, verified and understood all the important documents and also all his queries are answered. This means that latter you don’t stand a chance of complaining of any misinformation by the builder. You should go through the details of the property and agreement before signing it. Possession date: A home buyer should get this clause in the agreement stating clearly the date when he will physically get the possession from the seller or the builder. Title deed: It is the most important clause which states that the property is completely owned by the seller and that there is no other claim on the property by anyone and seller has complete rights to sell the property without any pressure and is selling the property under his own wish. Returning earnest money: This clause states the time within which the builder has to return the earnest money (paid by buyer) back to the buyer. Sometimes a Builder demand a huge amount of earnest money (the amount that you pay to show interest in buying the property) from you .If the builder later backs out from the deal then this clause will make him legally bound to return your earnest money within the time agreed upon, usually it is 30-45 days. Meantime expenses: This clause states that the seller is responsible to pay all the utility bills and bear the expense of any repair work on the property by himself until the time you get the possession. Escape clause: This is very important clause for any potential buyer which gives him right to back out from the deal at any point if he finds any shortcomings in the deal. This clause can be tailored by every buyer to protect himself just in case something goes wrong. For instance a buyer can include a clause which states that he will back out of the deal if he is not able to obtain home loan from the bank and in such case the deal stand to be canceled. “AS IS” clause: sometimes a seller will try to include this clause in the agreement if a buyer decides against home inspection which states that seller is selling this property in ‘As Is’ condition. The buyer has full rights to inspect the property with regards to defects that may be there in the property but the seller won’t make any changes or repairs. Once this clause is signed you cannot go back to the seller asking to recoup money for repairs, so be careful before signing such clauses. Closing settlement clause: This clause will include the expenses incurred by the buyer and the seller in transferring ownership of the property. These may include origination fee, taxes, the cost of obtaining title insurance, transfer fees. Make sure to draft this clause properly so you know exactly who will be paying these expenses. Along with these clauses there are some basic clauses that every home buying agreement should have which are Description of the property, contact details of both buyer and seller( bio-data with passport size photos and signature along with left thumb impression),negotiated price, the manner of payment i.e., via check or demand-draft or cash. 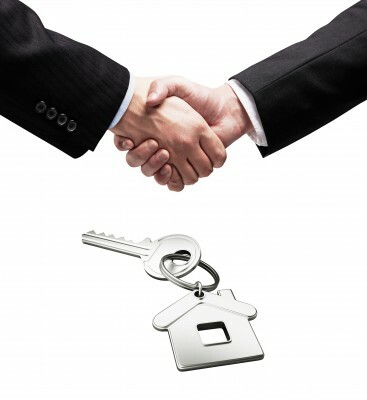 Keep your agreement short and simple, if it is too complicated the seller may refuse your offer.